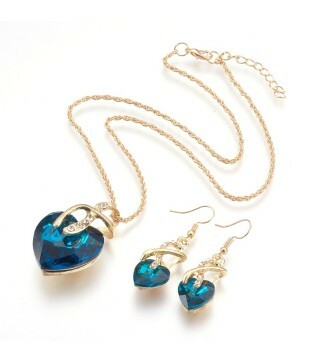 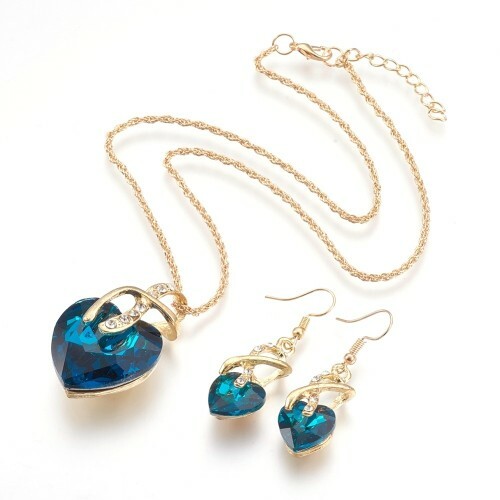 This stunning necklace and earring set features 18 carat gold plating and stunning midnight blue glass in a stylish heart design. 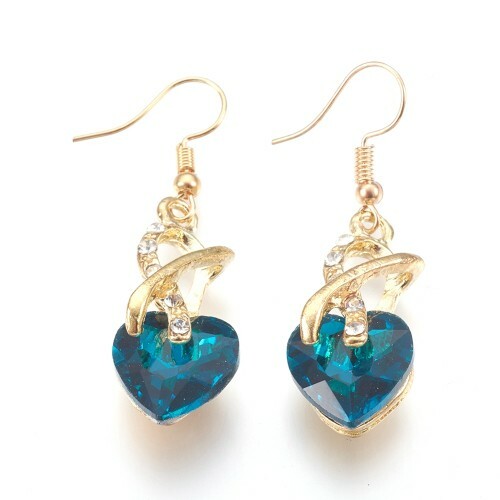 The eye catching heart pendant measures approximately 43 x 27mm whilst the earrings measure approximately 42 x 13mm. 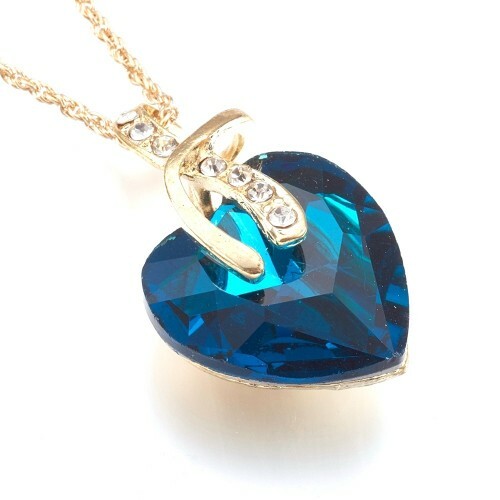 Each necklace features a 20 inch chain with an optional 50mm extension.